Who pays 88 bucks for a bowl of ramen? Nope, that’s not a typo. We’re talking $88, not $8, for that classic hot comfort dish of “ethnic food” that originally hails from Japan. Richie Nakano likes to stir things up—and not just his food. Nakano runs Hapa Ramen, a noodle soup stand at the weekday Ferry Plaza Farmers Market, where his brothy bowls brimming with locally sourced organic produce and free-range meats normally sell for $10–$14. Nakano keeps things fresh: He also hosts pop-ups so he can play with his food. A stirrer in social media circles who goes by the moniker @linecook, Nakano enjoys the professional challenge of taking it up a notch on the culinary front. 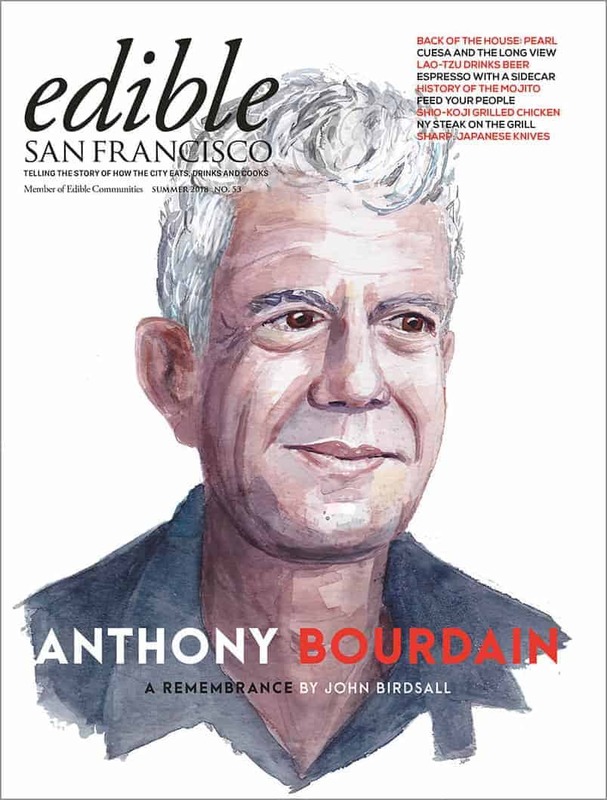 Last December, at a pop-up at Wing Wings in the Lower Haight, he served his soups oozing umami with as many highend products as he could muster. We’re talking white truffle, duck confit, foie gras, Kobe ribeye and sea urchin. Who doesn’t enjoy a little seasonal indulgence? For anyone who ordered all those add ons, the tab came to $88. And he was not alone: Several eaters loaded up with the works. A stunt? Maybe. And out of reach or unfathomable for many? Sure. But Nakano wanted to make a statement: Even the most modest of dishes can reach rock star status with the right marriage of ingredients, techniques and attention to detail in both preparation and presentation. 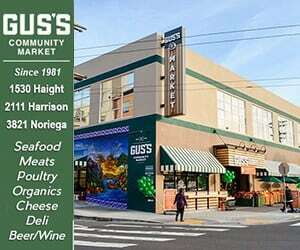 And why, argues the soon-to-be owner of a brick-and-mortar joint in the Mission, should his ramen be slapped with the stigma of that cheap, instant packaged soup, anyway? Nakano has a point. American diners have long balked at paying big bucks for so-called ethnic food. Ramen for 99 cents or less. Tacos for a buck and change. A bowl of pho for a few dollars, tops. Everyone loves a bargain bite. Many adventurous eaters on the hunt for authentic global flavors expect to find cheap “ethnic” eats in urban enclaves like San Francisco and Oakland. It’s a cornerstone of city living, a plethora of mom-and-pop shops and divey diners repping diverse cultures from around the world, slinging seriously tasty stuff for a fraction of the price it costs—and the effort it takes— to make at home. We bite into that bánh mí with mystery meat or chow down on Chinese dumplings made by kitchen hands who may earn less than minimum wage—ignoring, oblivious to or unperturbed by what we’re participating in as we eat. We’re just jonesing for great grub on the run, provenance of raw materials or exploitation of food service people, many of them immigrants or people of color, be damned. Who cares what goes on behind the kitchen door when food this cheap tastes so good? But why should “ethnic” food be inexpensive? What the hell is ethnic food anyway? And who gets to decide what’s so-called ethnic and what’s not? 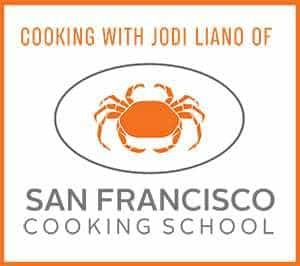 Enter a new breed of upstart chefs and restaurateurs, many of them with origins in other lands, who are reimagining “ethnic” eating and educating diners hungry for traditional tastes with far-flung roots about the true cost of Mexican, Indian, Thai, Chinese and Korean cuisine. Bon appétit. Here’s the deal: Quality ingredients cost more money, plain and simple. 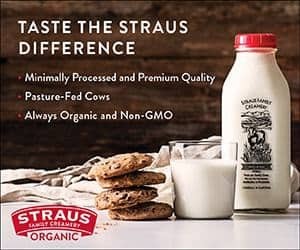 Given the current food system and economies of scale, organic produce, grass-fed beef, free-range chicken and sustainable seafood are more expensive than factory-farmed meat and conventionally farmed crops. Likewise, it costs more—in both raw materials and labor— to make food without convenience products or cutting corners. Whether condiments and sauces made from scratch or tortillas and noodles prepared by hand, there’s a ton of time and people power in all that prepping, planning, chopping, crafting and cooking. Nakano knows that from firsthand experience. “When we started Hapa Ramen in 2010 we made all the noodles in-house for about six months. It was brutal,” says Nakano, who plans to bring back noodle production at his restaurant, scheduled to open on Valencia Street in July. 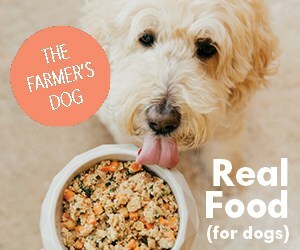 And don’t get him started on what else goes into his bowls. Take his veggie version. It ticks off Nakano that there’s a common notion that so-called ethnic food should be cheap. Ever since he opened this chef has fielded complaints over the price of his ramen. “People don’t think anything of paying 20 bucks or more for a bowl of spaghetti,” he says, noting that Italian and Mediterranean food is no longer considered “other.” Similarly, some of the same people who recoil at spending $10 on soup have no problem, he says, plonking down $9 for fresh-squeezed juice or $11 for a cocktail with in-house infusions. The dining public often views foods with Asian and Latin origins differently, says Nakano, who is of mixed Anglo-Japanese heritage. Businesses like Hapa Ramen are trying to do something different. Nakano sources from local, organic farmers and ranchers, and aims to keep his food costs around 30% of his overall expenses. Labor accounts for anther big chunk of his budget. He says he pays his employees “way above” minimum wage ($10.74 in San Francisco, currently the highest in the country). Lucky for Nakano, he cops it on both ends of the dining spectrum from lay critics like Yelpers. He’s been dissed as not “ethnic enough” and dismissed as a ramen master wannabe. His food falls into what other chefs in a similar situation call the middle ground. They’re not dishing up suspect stuff made with questionable ingredients at a greasy spoon. They’re also not assembling fancy-pants plates at a white tablecloth place catering to the 1%. They’re trying to do the right thing while they do their own thing. Preeti Mistry insists Juhu Beach Club in Oakland is not an “Indian” restaurant. It’s a cross-cultural mix of modern Mumbai street eats, California farm-to-table fare and new American comfort food. Photo by Alanna Hale. 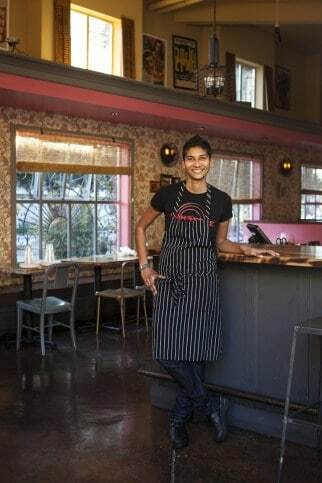 Across the bay at Juhu Beach Club in Oakland, Preeti Mistry is another example of this new style of American chef/owner with immigrant roots. With their mashup menus, craft beers and cocktails and groovy, casual interiors, these restaurants are totally different beasts to the unassuming first-generation immigrant holes-in-the-wall of the past. Mistry, who is of Indian heritage, grew up in Ohio and moved to San Francisco at 19. She has her own issues with the “ethnic” food label. Like Nakano, Mistry found customers whining about the prices on her menu when she opened. The takeaway for Mistry: Her food isn’t considered as serious, important or worthy as someone else’s of European influence. “It’s almost like non-European food goes into this box and what’s championed is the greasy dive and not that that cuisine could have a level of technique and innovation that could elevate it to something else,” she explains. Still, she’s glad that, a year out, the people who Juhu is the right restaurant for found her, and relish the opportunity to eat her spicy sliders known as pavs. They don’t flinch at the price ($13 for three) either. Some disagree with the racism charge. That’s a sentiment likely held by many, and yet these restaurants and pop-ups continue to attract diners who willingly fork out for this fare. Rather than getting stuck on the outdated “ethnic” food label—or, worse, the concept of authenticity—Mistry sees a lot of chefs like herself of different ethnic heritage exploring a more diverse definition of what it means to be American, an American chef, and what it means to serve American food. Pim Techamuanvivit in her recently opened Thai restaurant, Kin Khao, which loosely translated means “let’s eat.” Photo by Alanna Hale. Consider the restaurant’s curry bowls ($18–$26). “Our Massaman curry is a whole shank of natural, locally sourced, antibiotic-free, sustainable beef with bone marrow in the middle. The paste has 19 ingredients and each one is treated differently: Some are toasted, some are burned, some are fried, some are fresh, everything is done by hand, everything is ground for the day’s use,” says the restaurateur, who developed a following for her small-batch jams under the Chez Pim label. 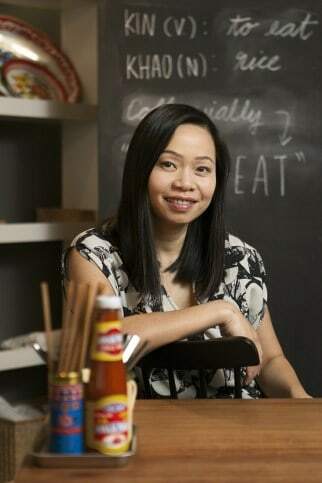 Techamuanvivit doesn’t expect to please everybody; diners won’t find pad Thai on her menu at all. 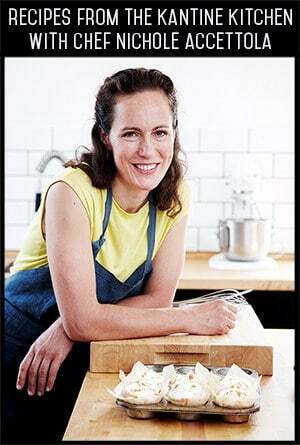 Like other local chefs, she’s cooking traditional and family dishes from far away through the lens of the local farmers’ market. Her foray into jam making was instructive. The new restaurateur also notes that at many area Thai or Chinese restaurants diners will find the same menu made from convenience products, such as premade curry pastes, sourced from the same distributor. Unsurprisingly, much of it tastes the same, she says. “We have people come in, look at the menu and they say to us, ‘What, you don’t have any tom kha gai?’ and we suggest the restaurant across the street. The price is right and it’s the food they’re familiar with and want to eat. It’s a generic Thai restaurant; it’s not bad, but it’s not doing anything different and that’s not what I’m interested in.” That well-known Thai soup sets customers back $8.50 at that particular place. And so far—at press time the restaurant had been open about a month—diners have been lining out the door. 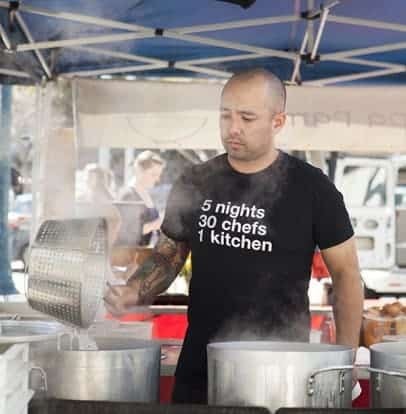 Perhaps no one is as well equipped to see both sides of this equation as Gonzalo Guzman, the chef at Nopalito, who immigrated from Veracruz, Mexico, to San Francisco in 1997. He came here hungry for work and looking for culinary experience. He landed a job in a kitchen, washing dishes in exchange for food. From there, he gradually worked his way up the kitchen hierarchy, accumulating an impressive resume along the way with stints at restaurants like Kokkari, Boulevard and Nopalito’s sister restaurant, Nopa. Now, he oversees two Nopalito locations, in NoPa and the Inner Sunset, where his carnitas, pozole and mole (27 ingredients) receive rave reviews. Guzman learned about the importance of the pedigree of raw products at Nopa and applies that sensibility to his regional Mexican cuisine. The masa for tortillas and tamales comes from house-ground organic corn. Chorizo sausage and queso fresco—also in-house. This is not a burrito joint but a celebration of slow-cooked rustic dishes from south of the border featuring complex, layered flavors that’s a rarity even in the Bay Area. And the most expensive items on the dinner menu cost 18 bucks. Guzman got his big break as a restaurant chef when he was tasked with preparing the evening family meal for the staff at Nopa, fashioning craveworthy dishes made with leftovers and lots of heart. Let’s give him the last word. 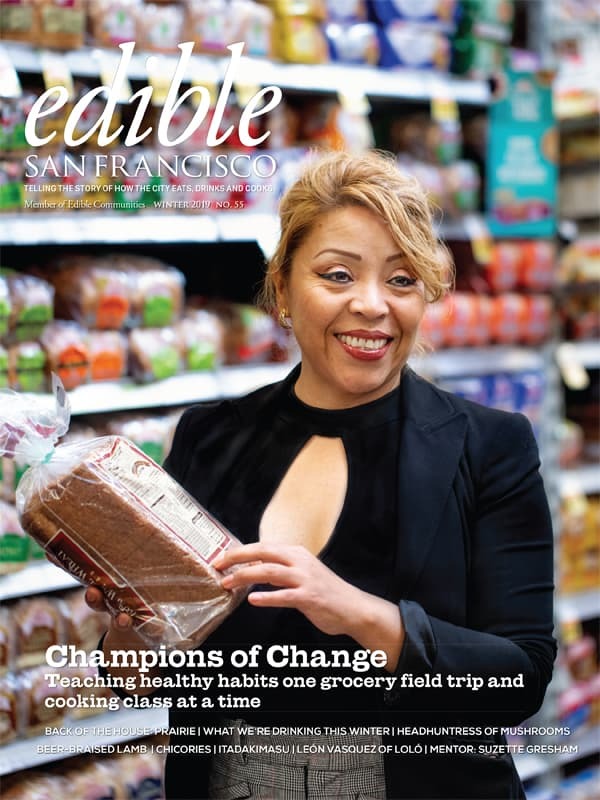 Cheapskates was originally published in the Spring 2014 issue of Edible San Francisco Magazine. 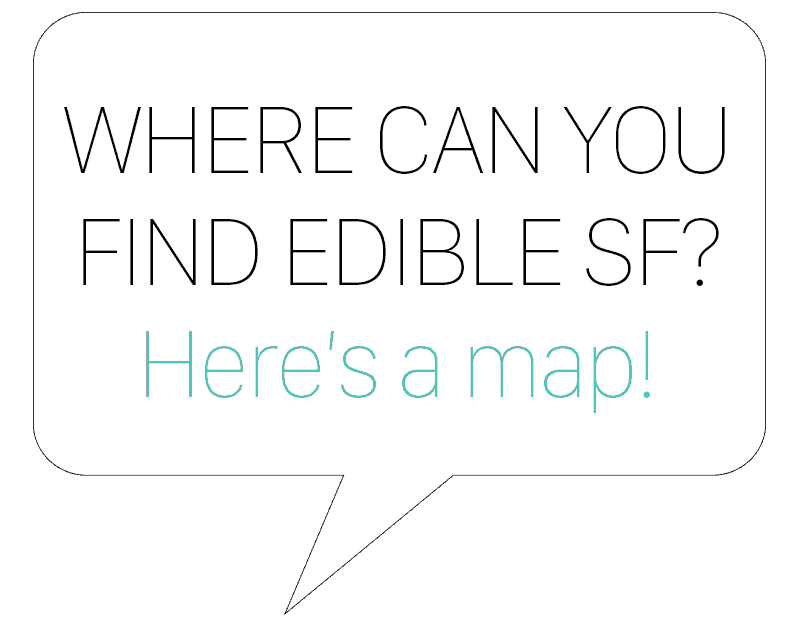 © 2014 Edible San Francisco.